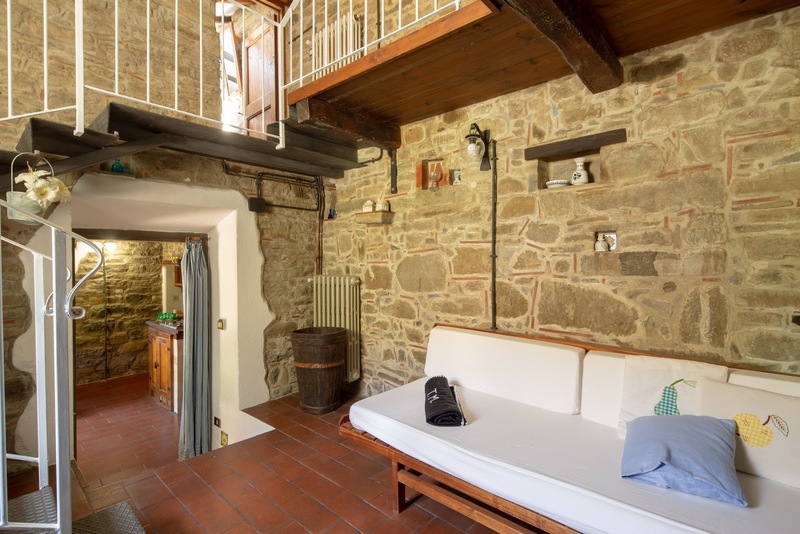 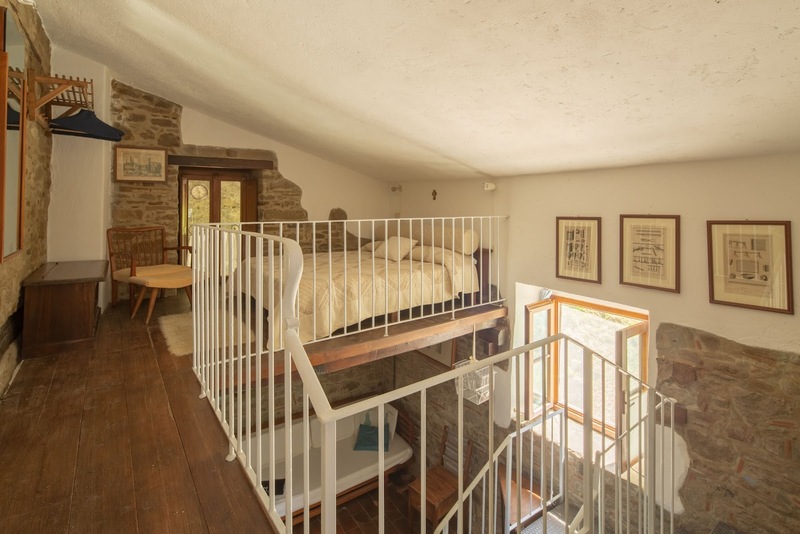 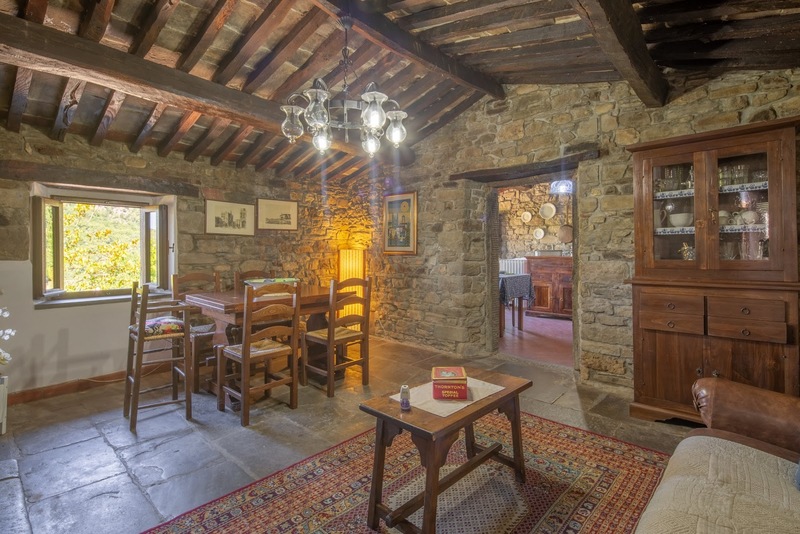 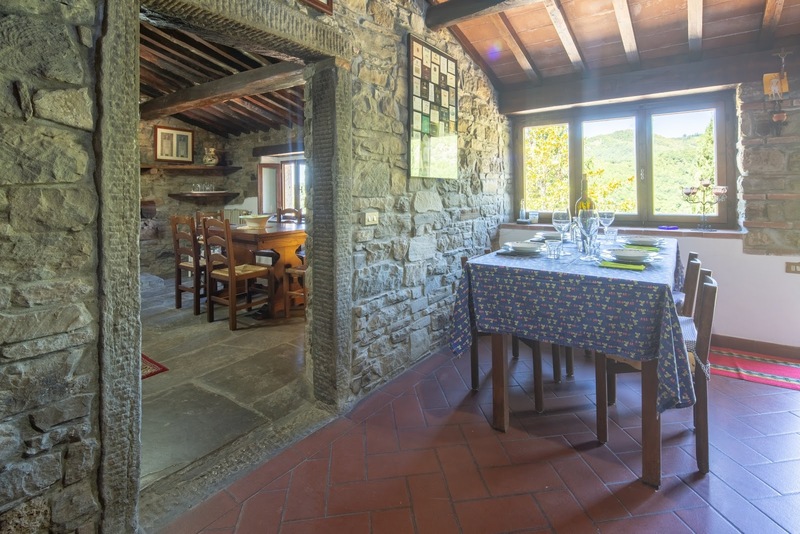 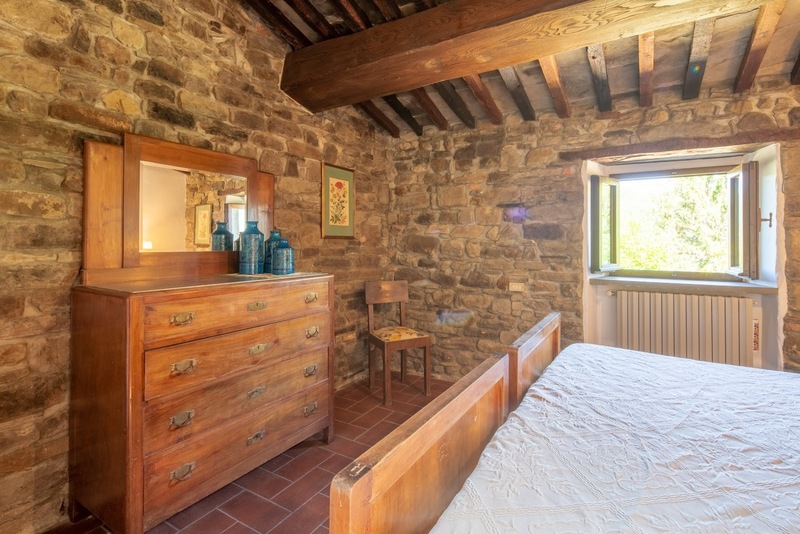 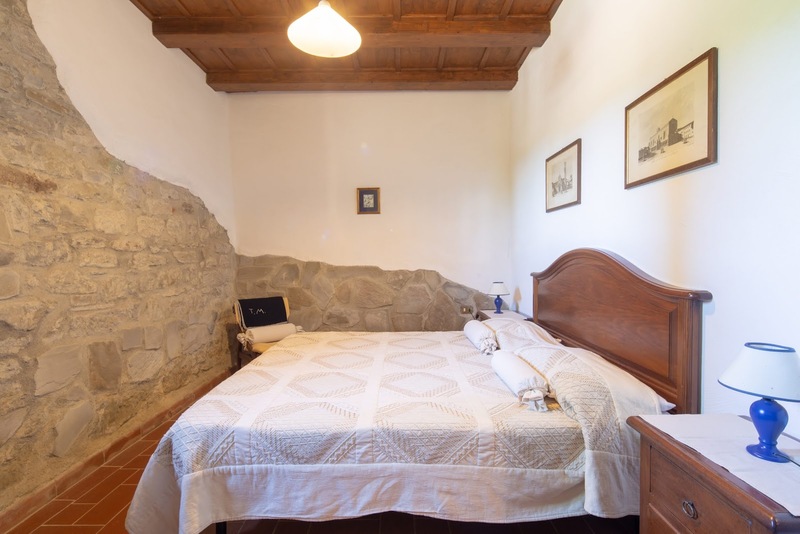 Typical stone farmhouse, divided in three apartments on two floors, comfortably holding 10 persons with 4 double bedrooms, 2 single sofa beds and 4 bathrooms. 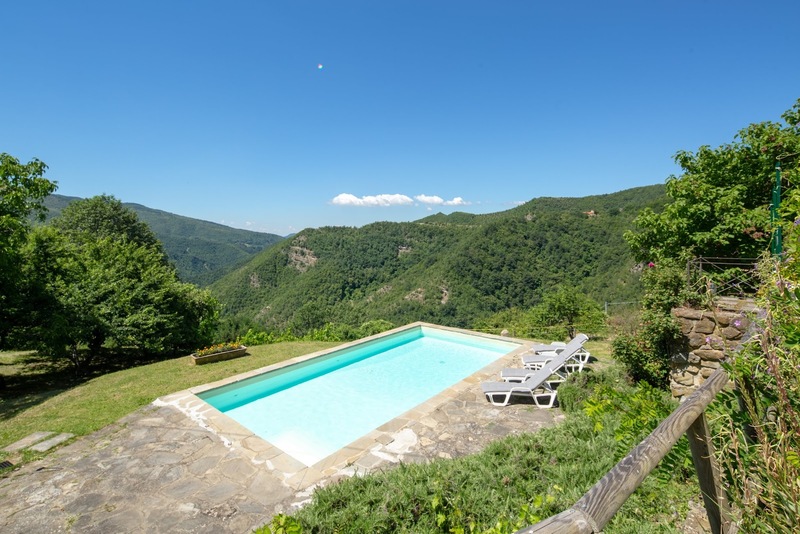 The property is completely independent and has large outdoor areas for meals, with a barbecue, wood- burning oven and panoramic swimming pool with bathing terrace. 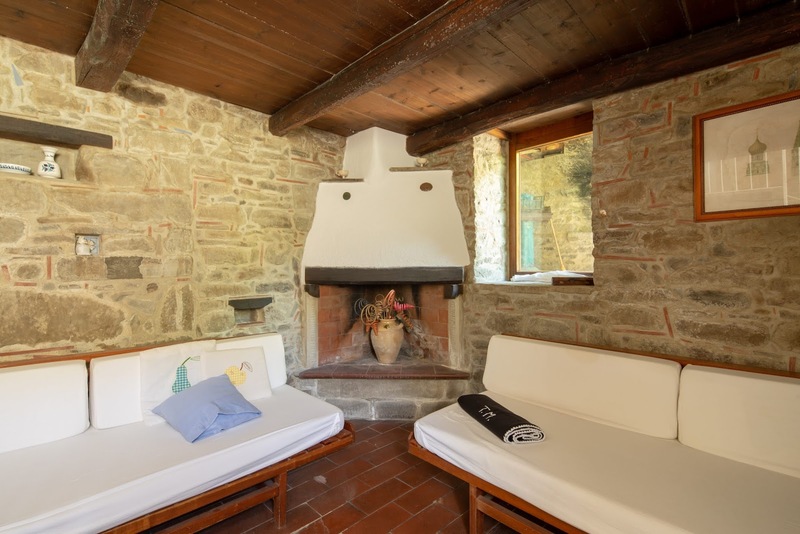 The farmhouse is surrounded by a well-kept garden, mostly lawn, with various levels, relaxing shaded areas with a barbecue and wood-burning oven. 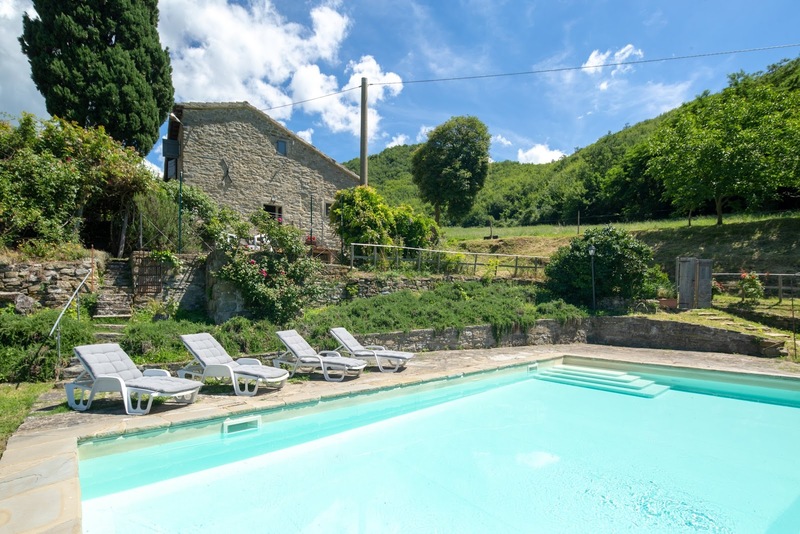 In a sunny position you will find the swimming pool, 10 metres by 5 with a depth of 1.1-1.7 metres, externally paved and including an outdoor shower. 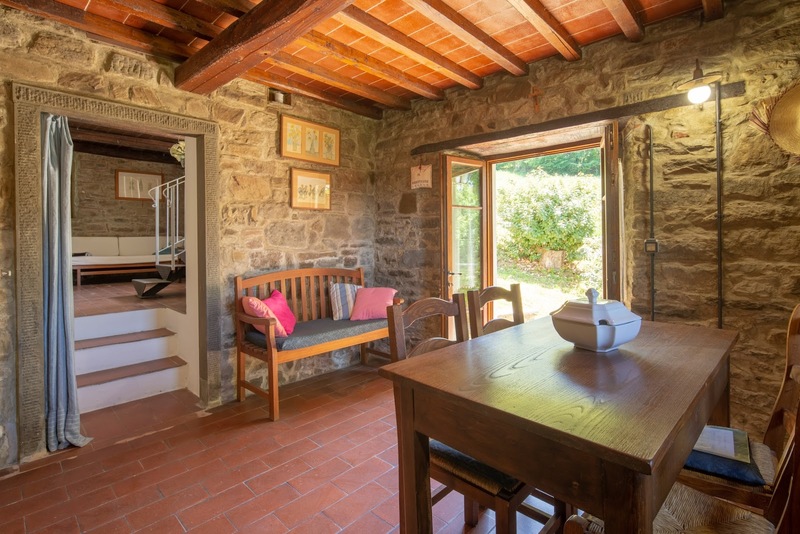 Parking within the property. 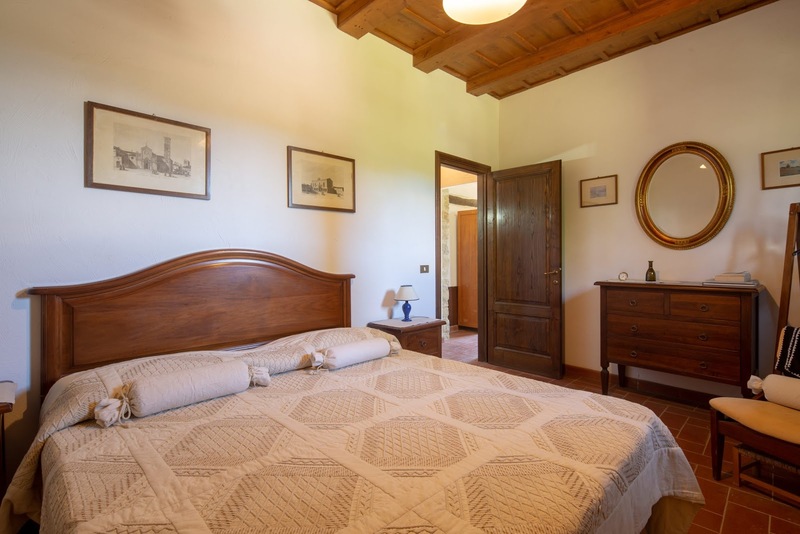 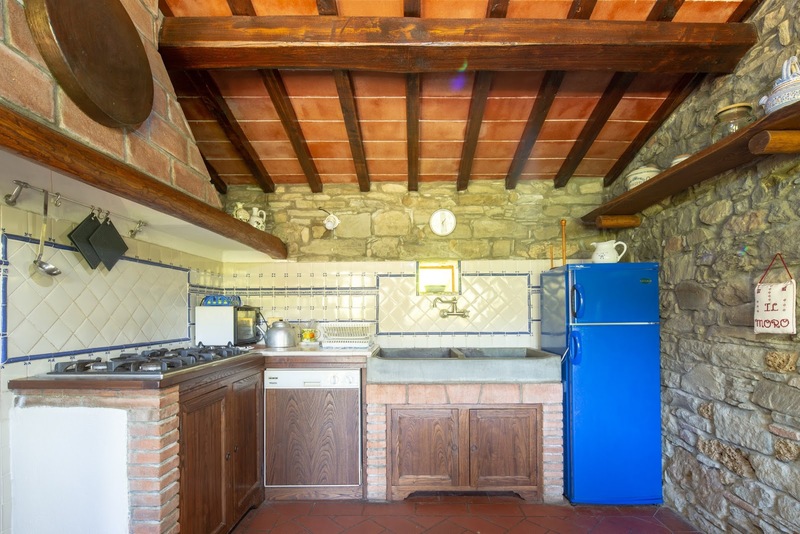 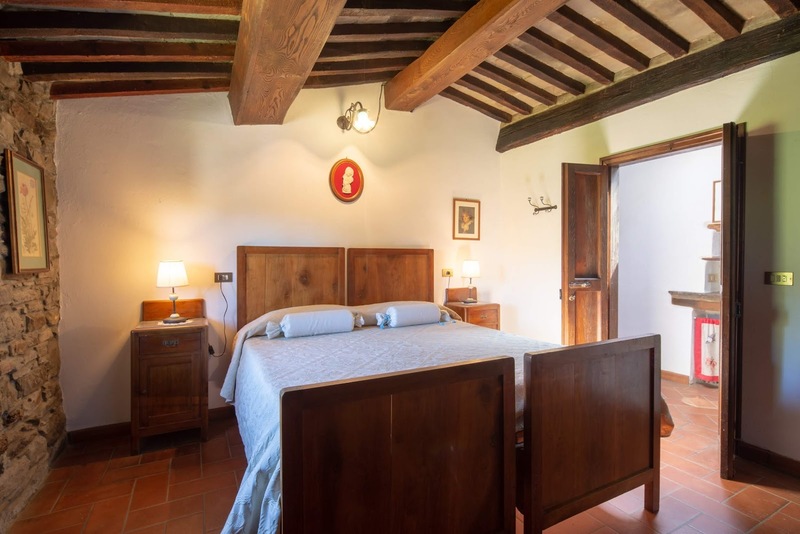 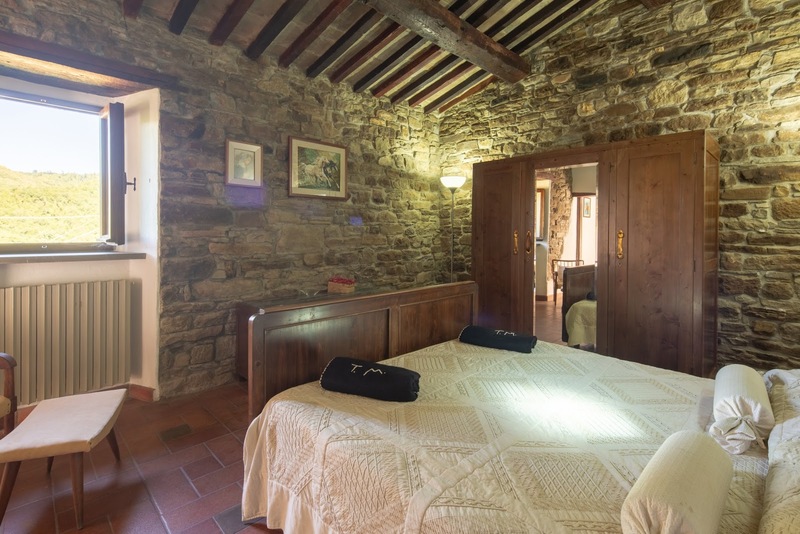 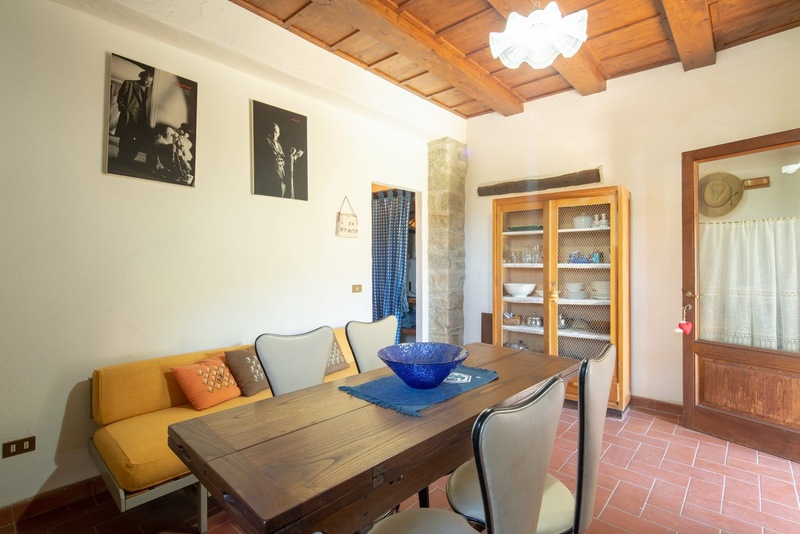 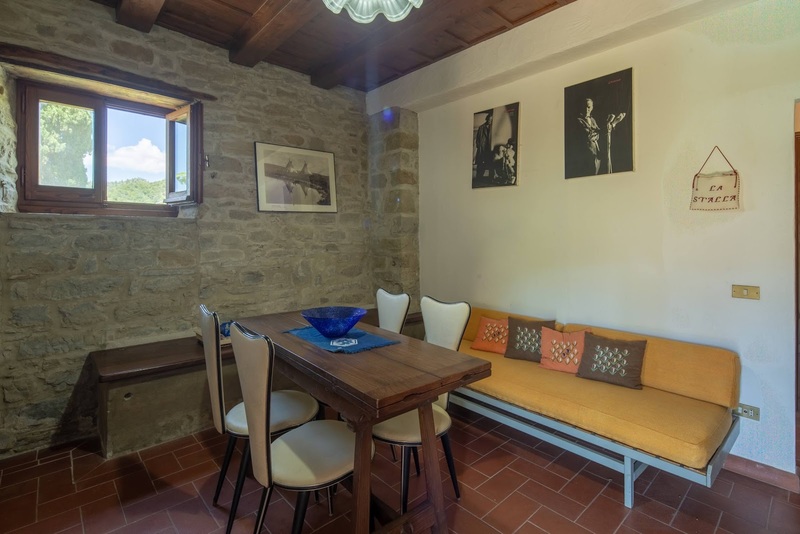 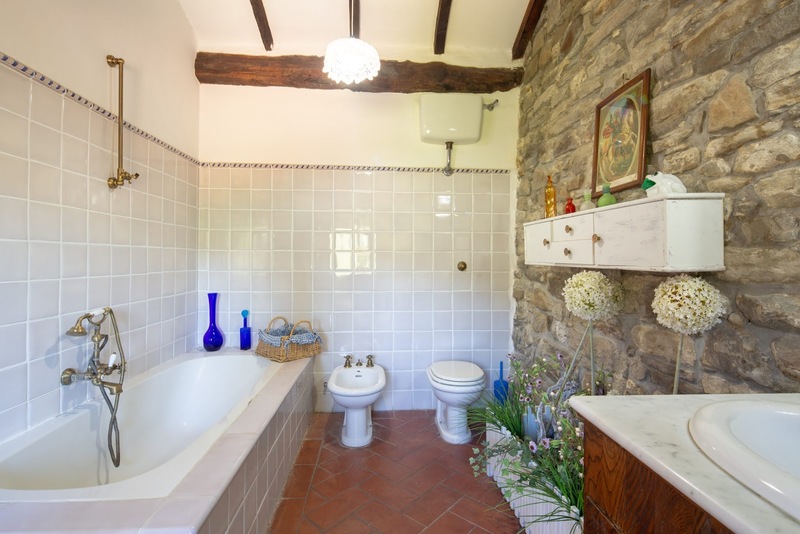 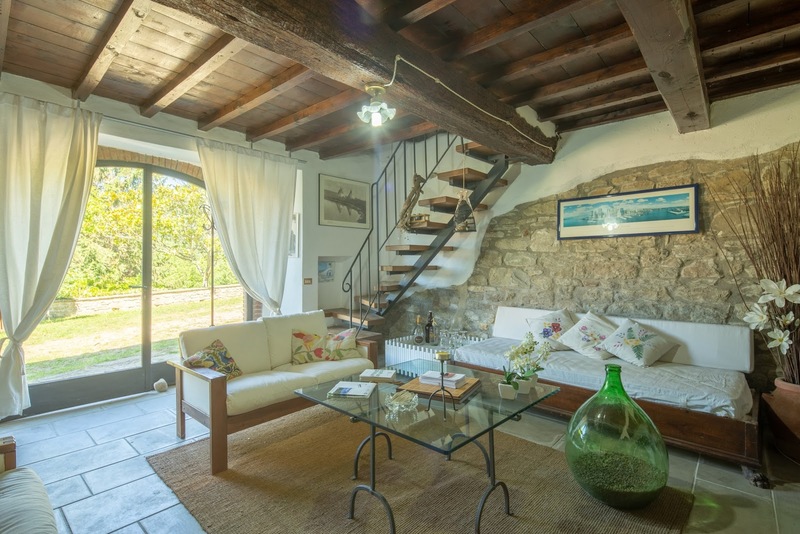 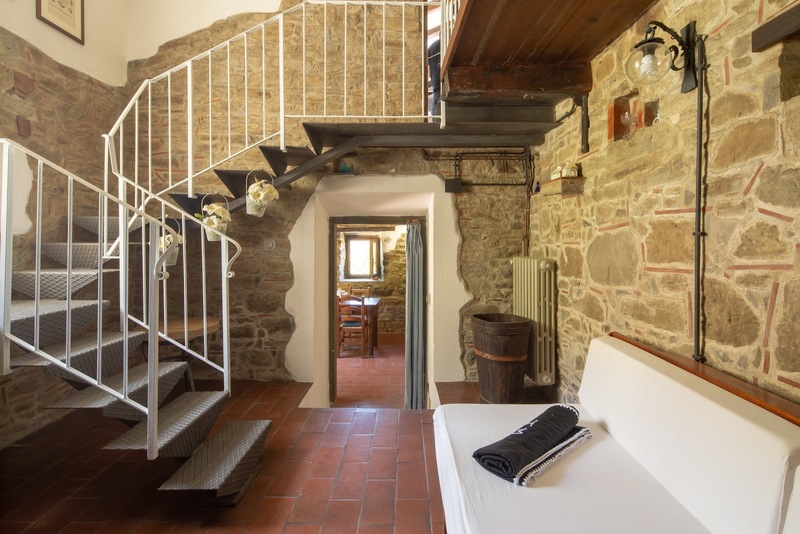 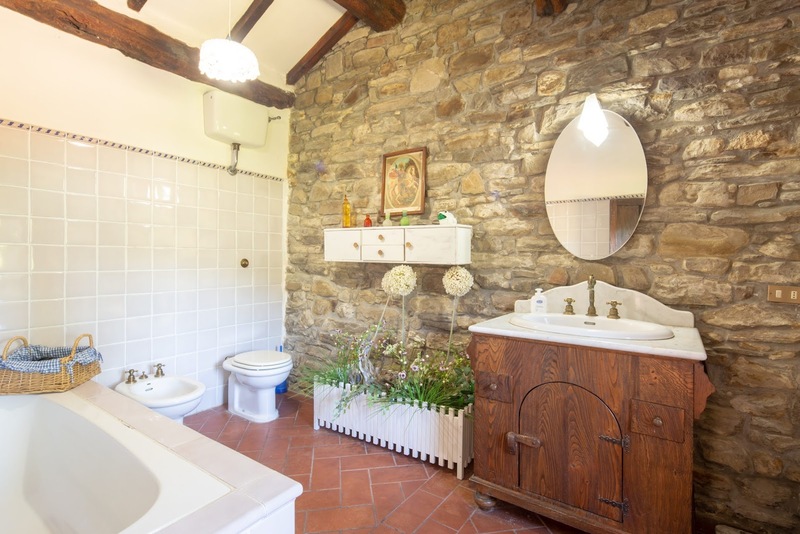 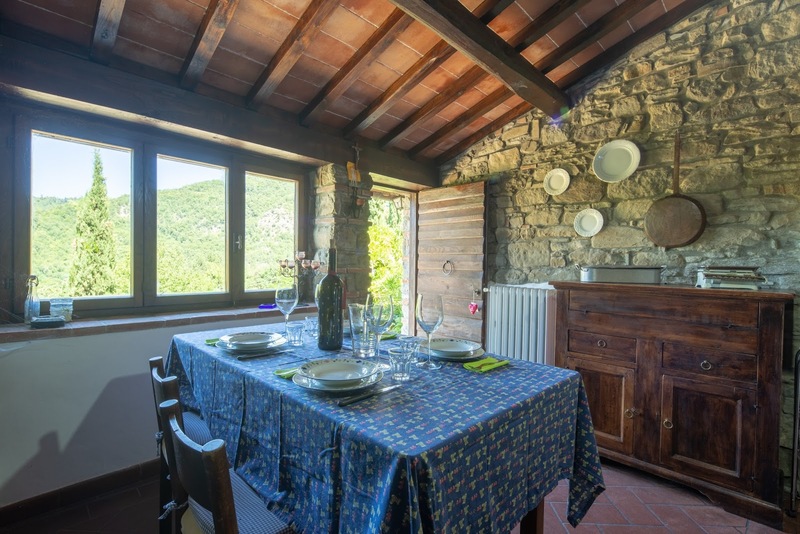 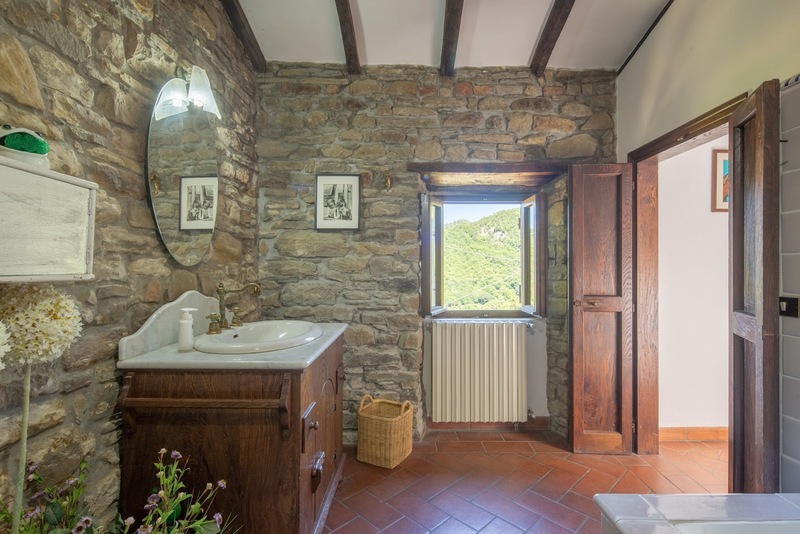 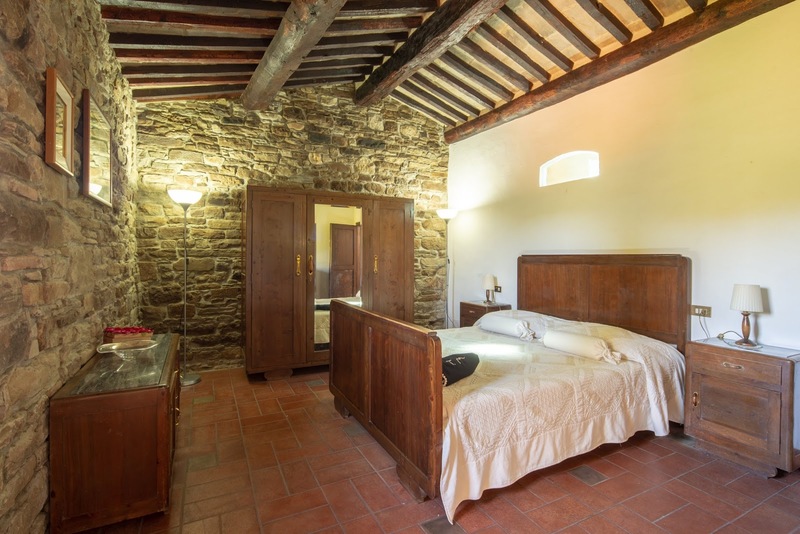 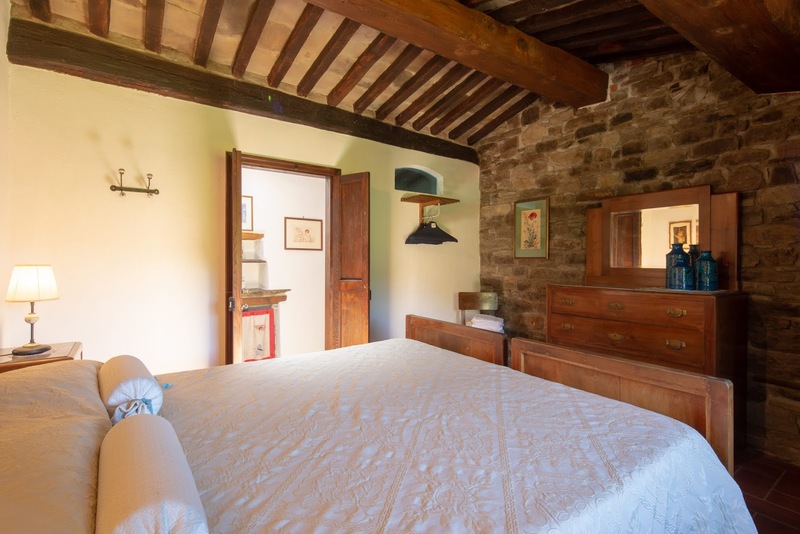 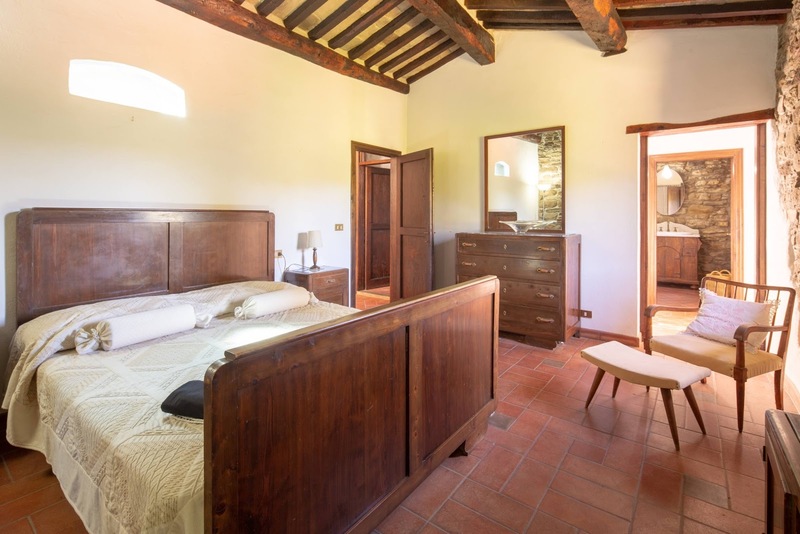 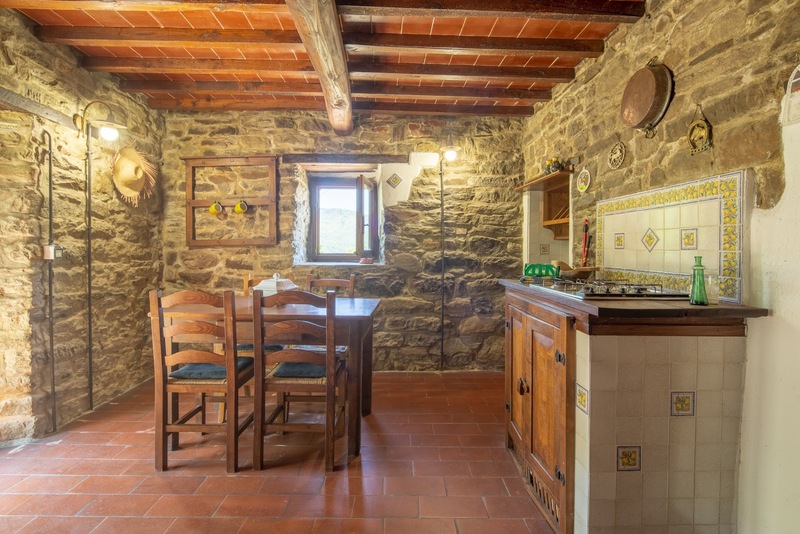 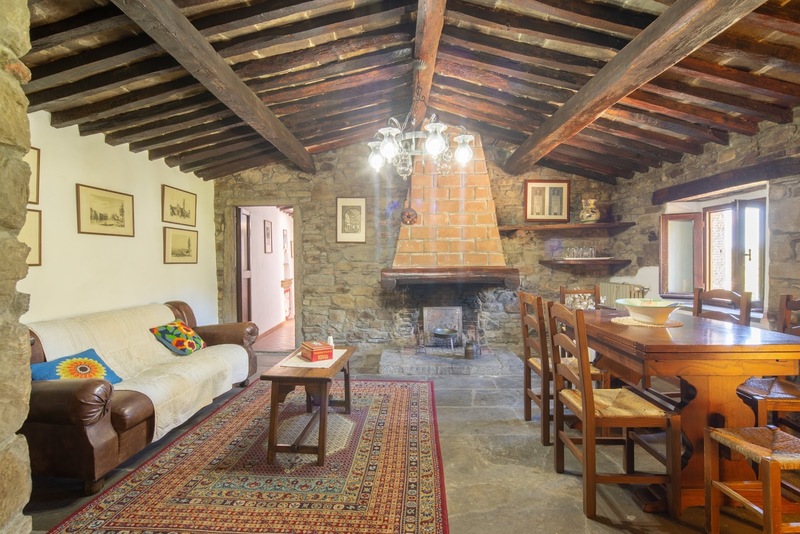 The property is made up of three separate apartments, all in rustic Tuscan style. 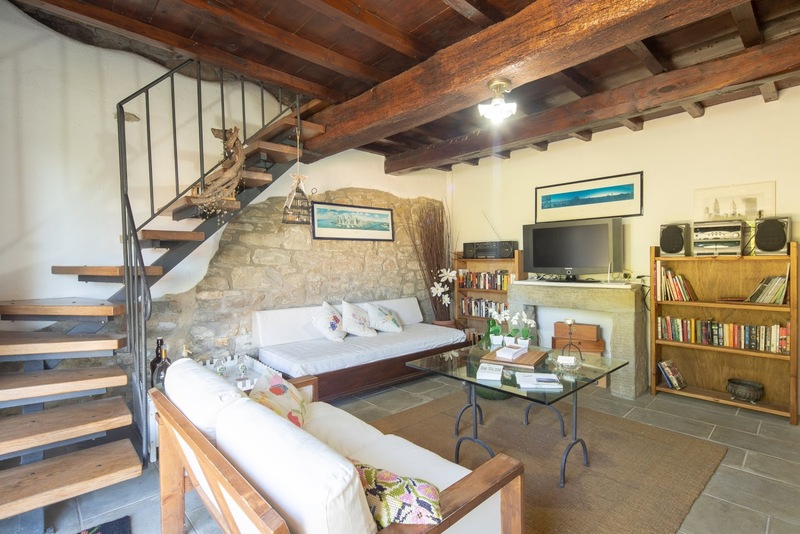 The largest apartment, with outdoor access from a staircase, is on the first floor and has a kitchen, dining room, small studio, a double bedroom with bathroom with bathtub, a double bedroom and a bathroom with shower (no bidet) in the corridor. 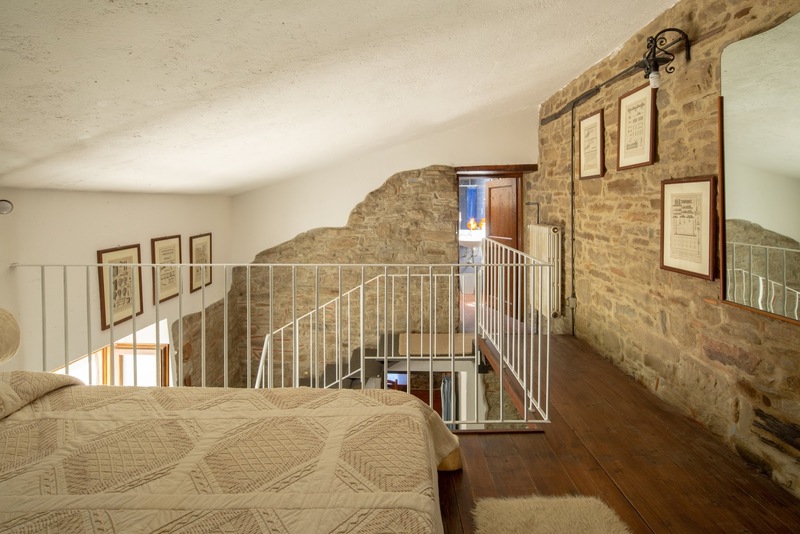 The second apartment has its entrance on the back, from the ground floor, and has a living room with kitchen area, a fireplace and two comfortable single sofa beds, from which you can reach a staircase to the open loft overlooking the dining room with a double bed and bathroom with shower (no bidet). 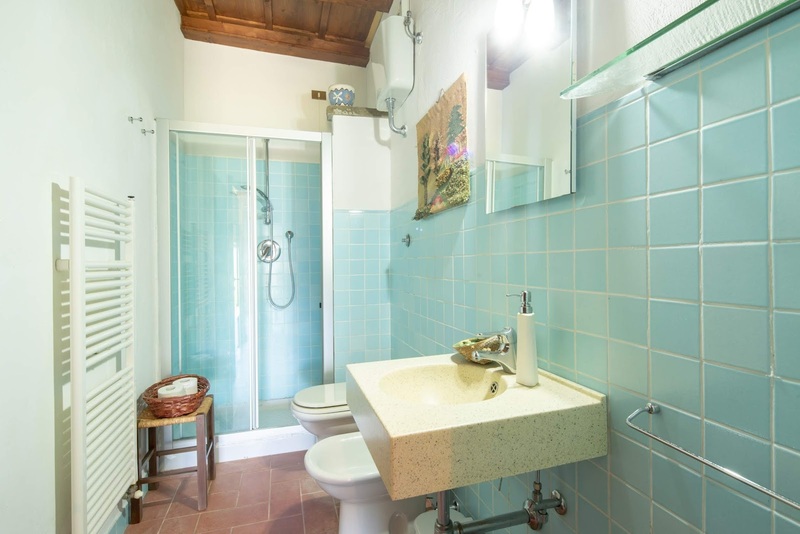 The third apartment is on the ground floor in front of the swimming pool and has a living/dining room with cooking area, a double bedroom and a bathroom with shower. 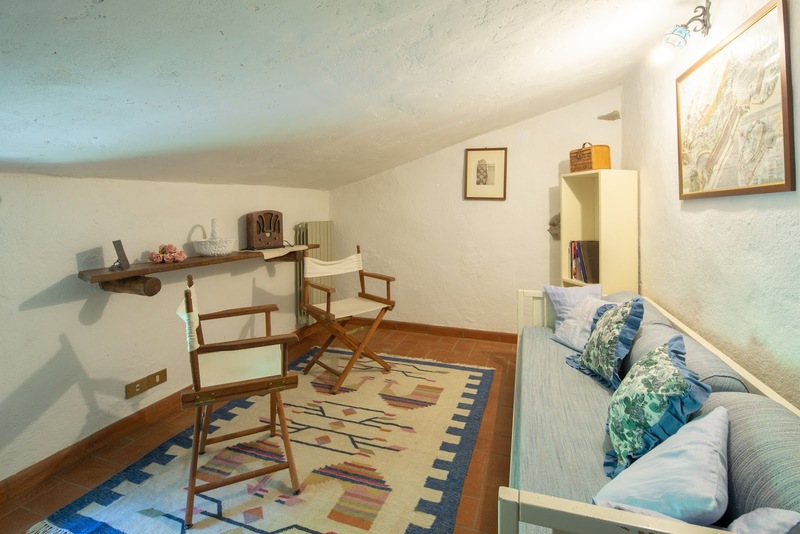 A separate building has a washing room and a living room with TV, books and games. 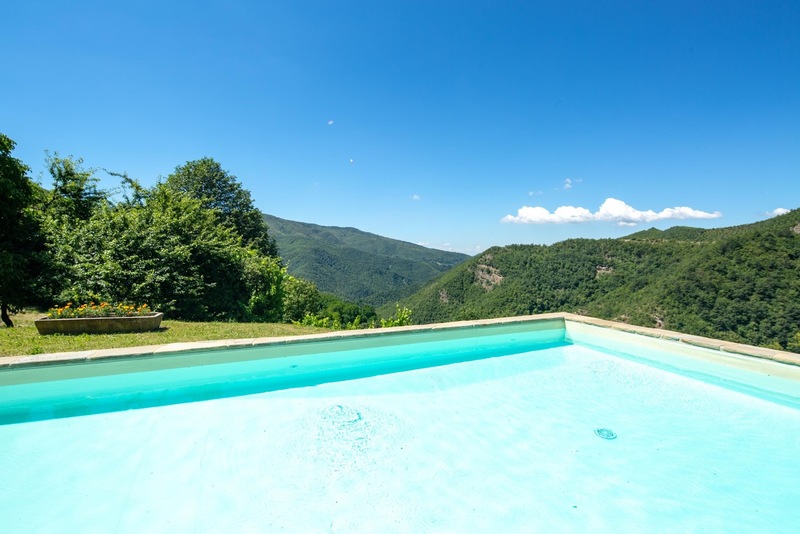 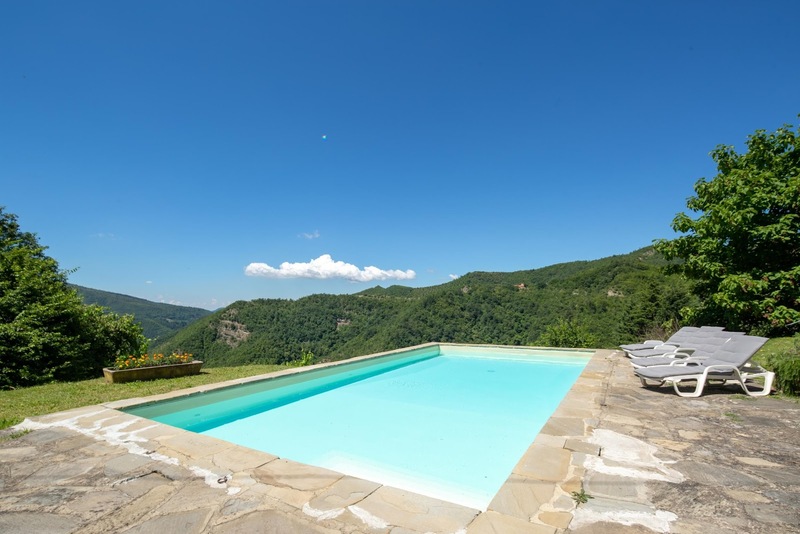 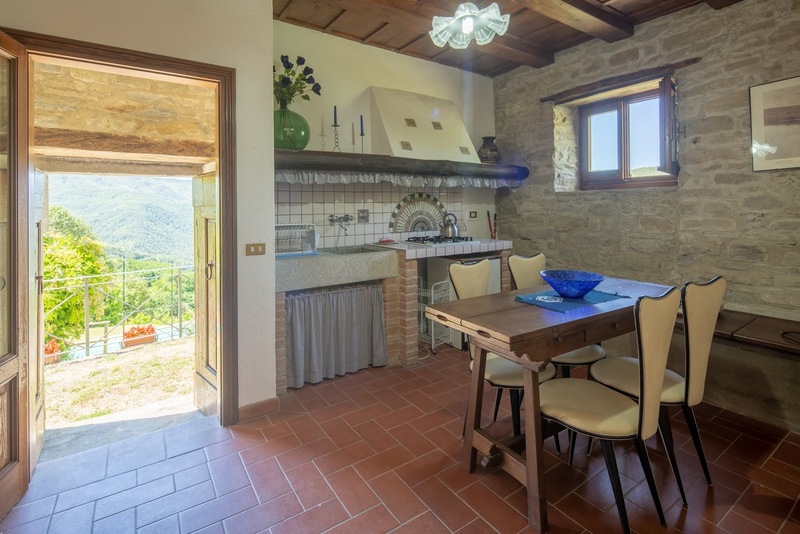 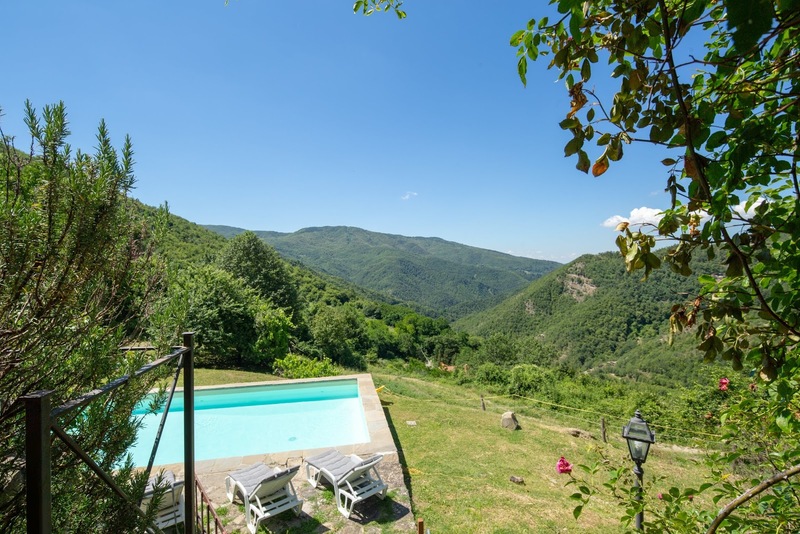 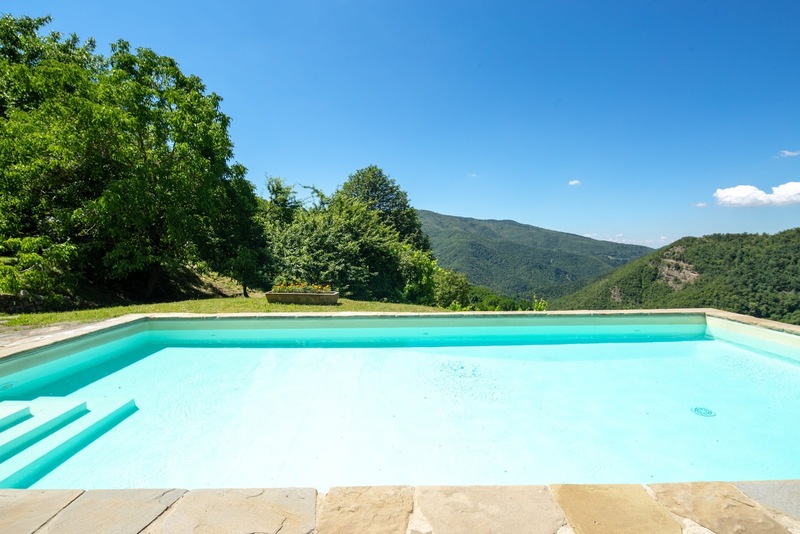 Casale Mazzini is part of a small group of houses in the Apennines (550 metres above sea level), in a panoramic position overlooking the valley full of chestnut trees and woods, reaching up to the top of the Apennines. 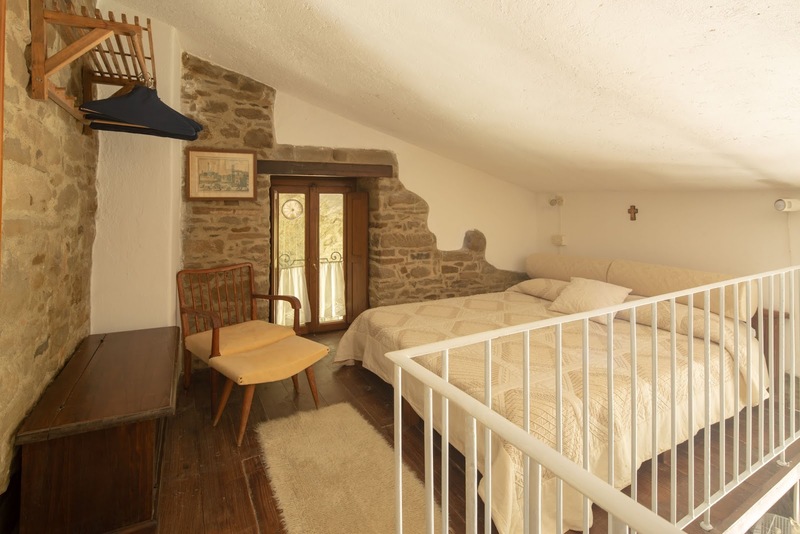 The farmhouse has WiFi, central heating, baby bed, hairdryer and parking in the property. 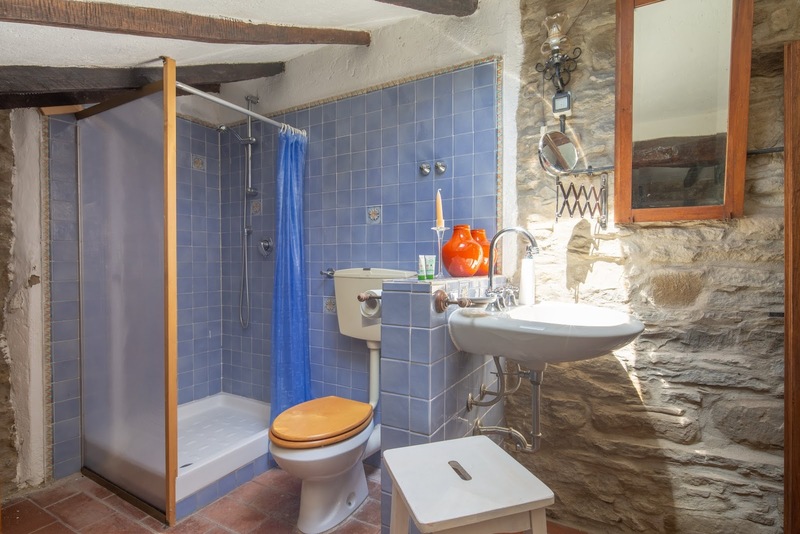 The price includes: bathroom, bedroom and kitchen linen along with swimming towels (changed weekly), internet, electricity, water and gas consumptions (not including heating). 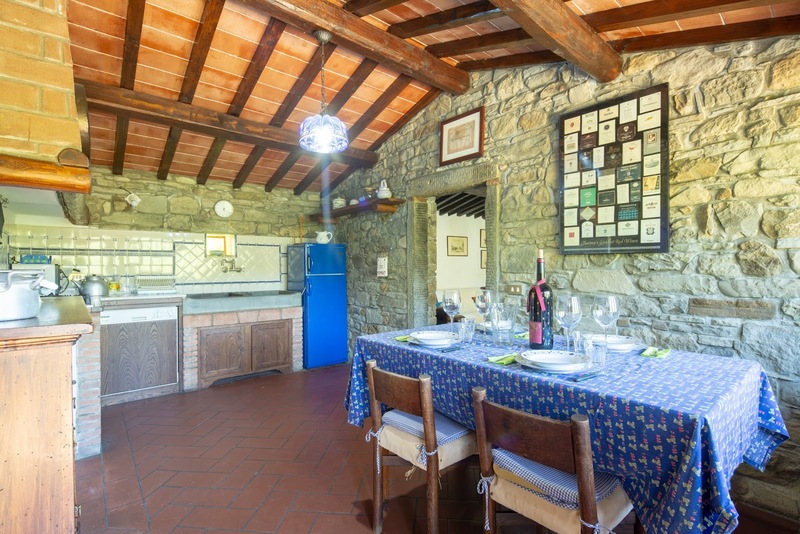 Upon request and to be paid for at the house are dinners, hired help, babysitter, tastings, horse riding, cycling tours and other outings. 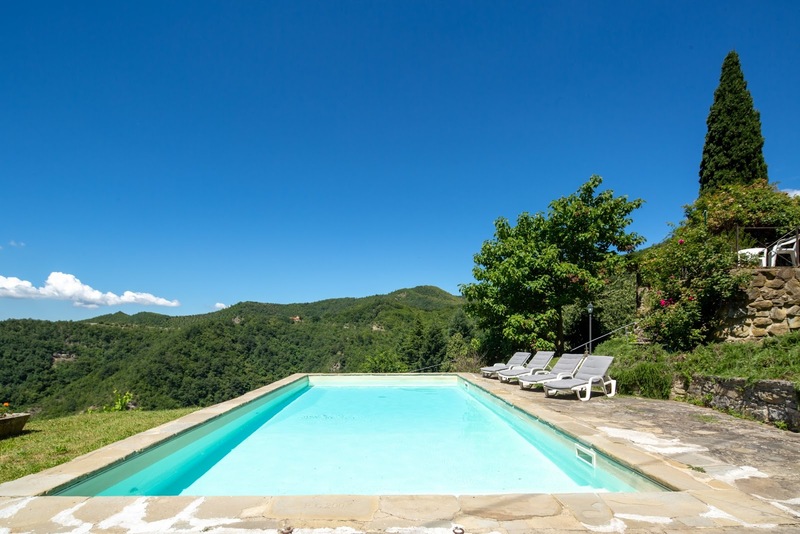 Swimming pool available from June 20th to September 15th. 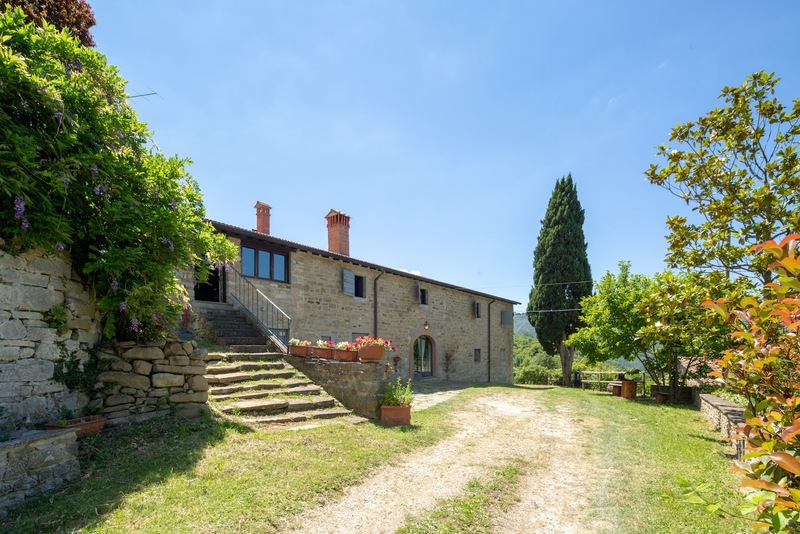 Access to the property via a short stretch of gravel road. 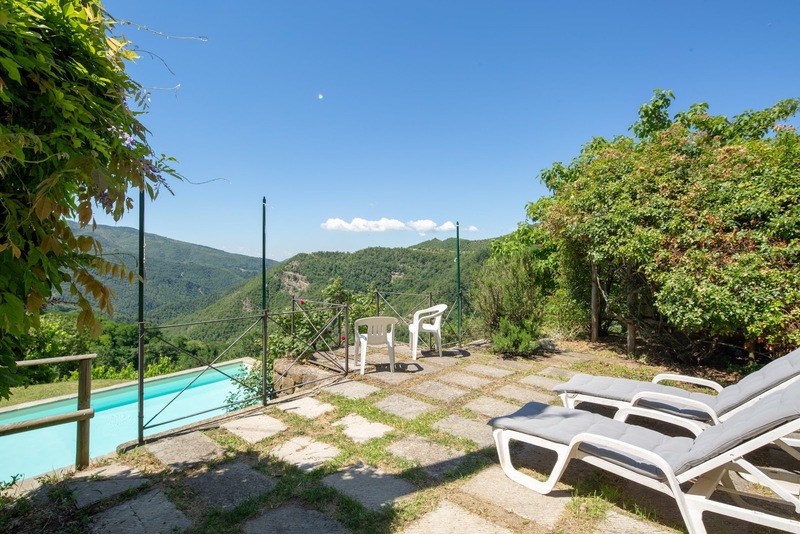 The nearest house is 200 metres away. 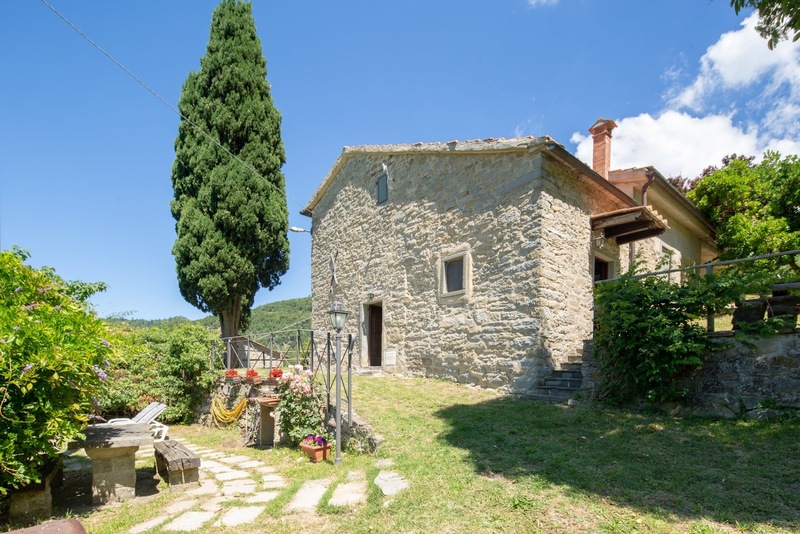 Cars may sometimes pass by on the road in front of the house, in order to reach a separate property. 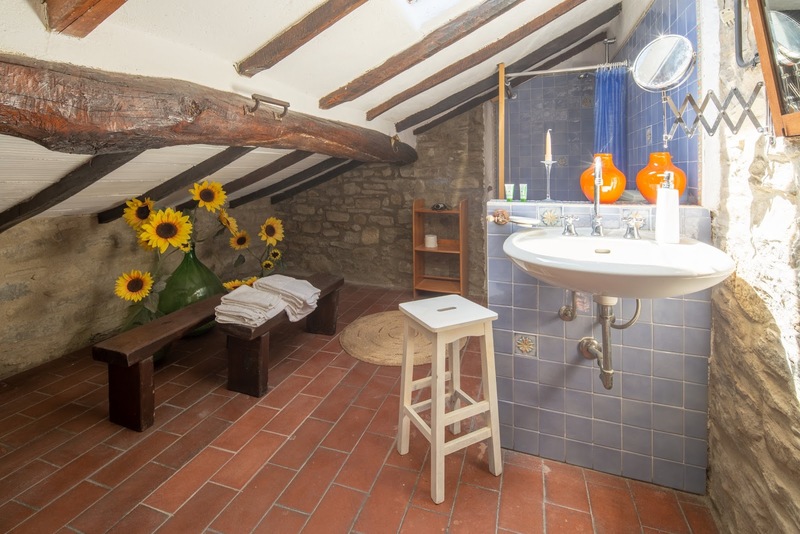 Satellite wifi. 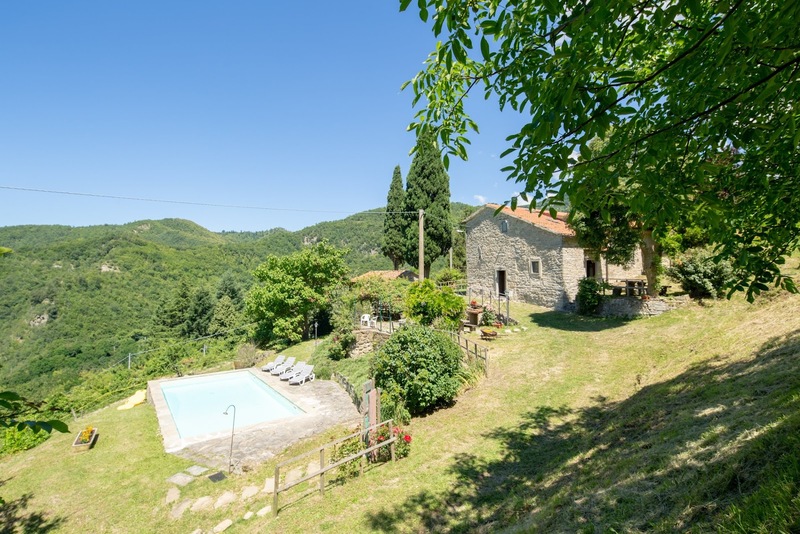 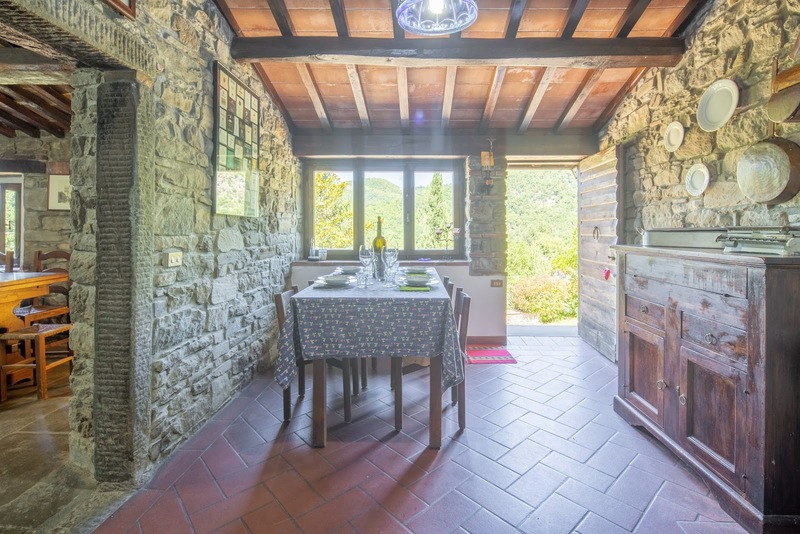 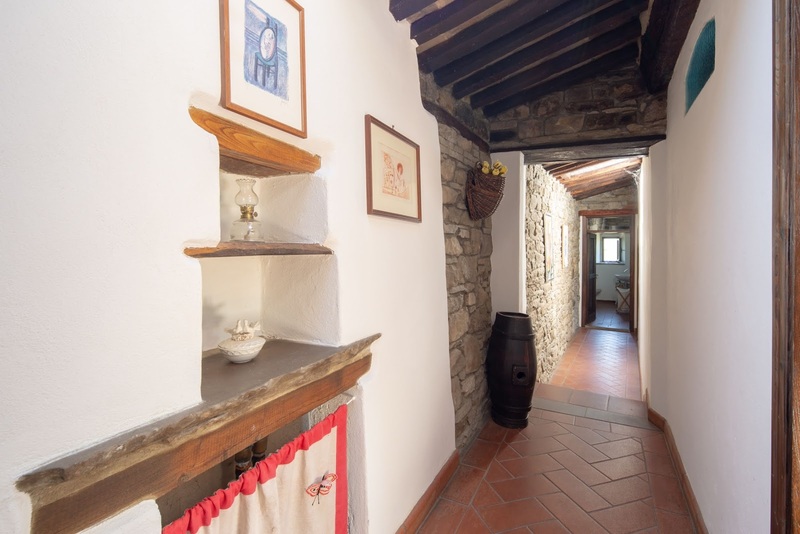 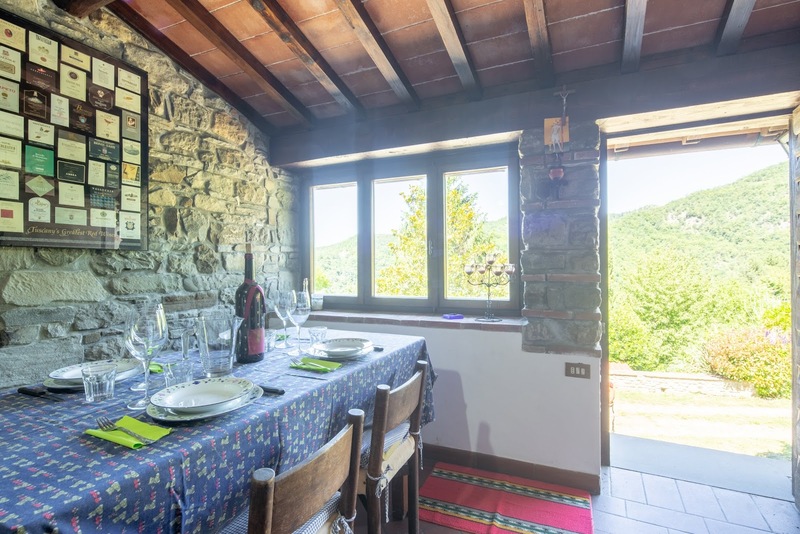 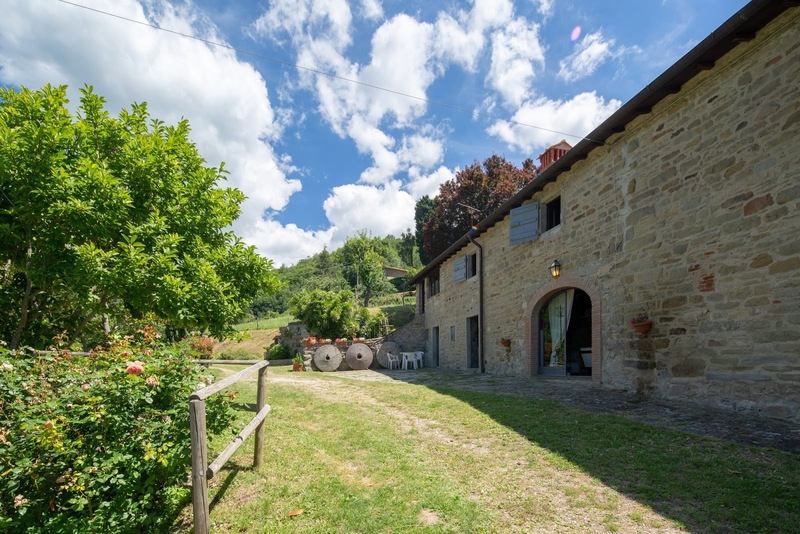 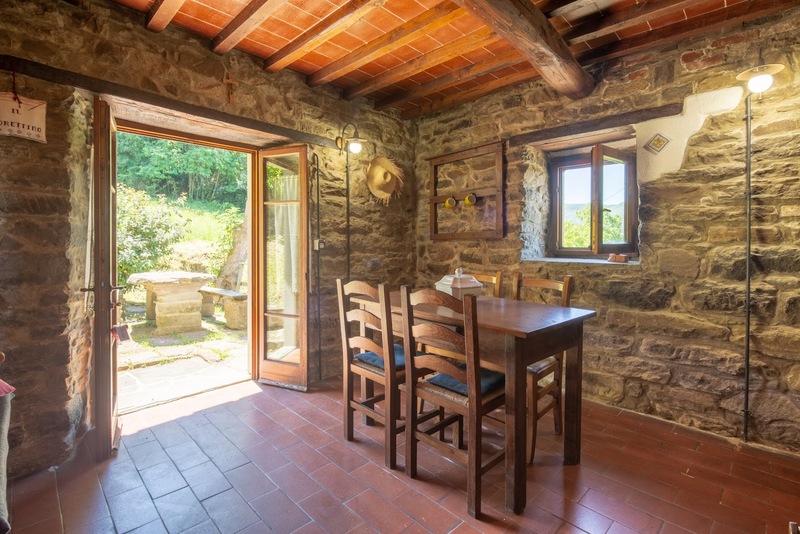 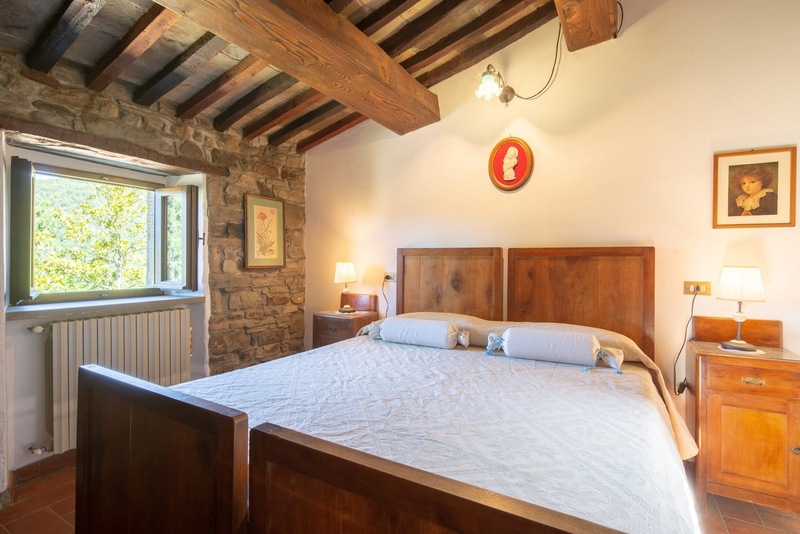 The farmhouse is close to the Parco Nazionale delle Foreste Casentinesi national park and to the town of Castagno d’Andrea, birthplace of the famous 15th Century Florentine painter Andrea del Castagno. 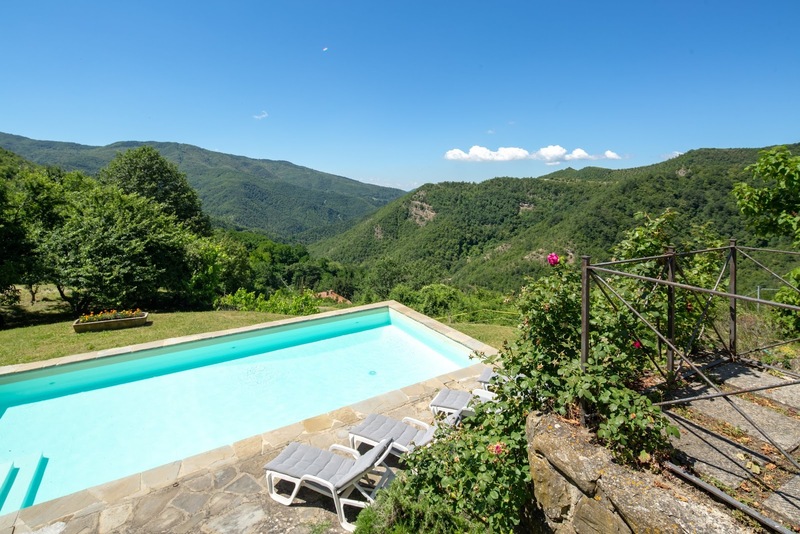 You are surrounded by the tall mountains covered in woods, like mount Falterona where the river Arno starts. 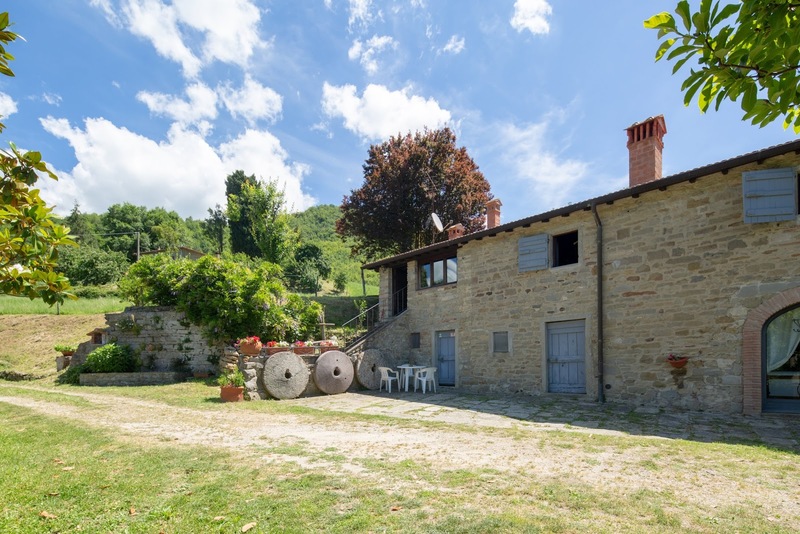 These areas are perfect for people looking to go on excursions but it is also possible to visit Florence, also by taking the train from Dicomano train station, and the towns in Mugello. 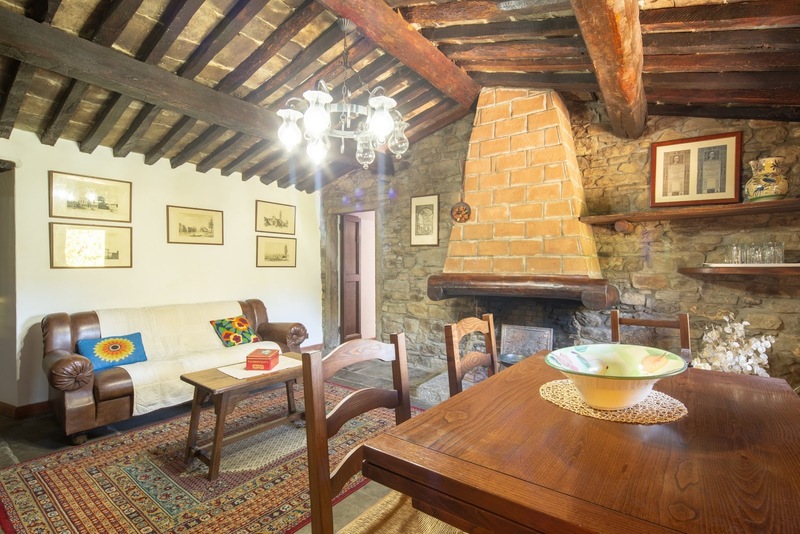 3,7 km San Godenzo (groceries), 10 km Dicomano (shops - tennis), 22 km Vicchio (Giotto's birthplace), 50 km Firenze, 94 km Mar Adriatico, 123 km Siena. 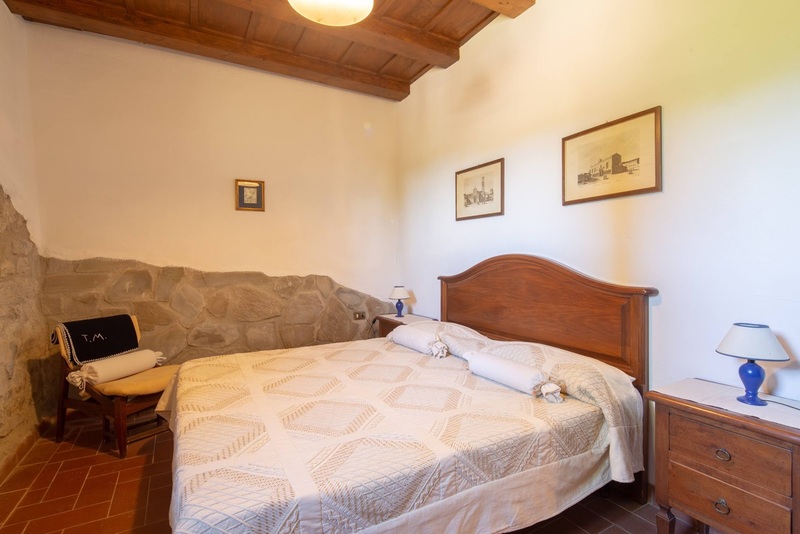 Shopping center: Barberino Designer Outlet, 49 km.